← Is Microsoft killing FixIt solution and Hotfix Download Service? Windows 10 V1803: File type association broken? [German]It looks as if file types under Windows 10 Version 1803 cannot be assigned to certain applications, as is actually intended by Microsoft. Here is some information about this topic. Chris Hoffmann from How To Geek has published an article Microsoft Broke Windows 10’s File Associations With a Botched Update mentions the issue. The association of file types to the programs Adobe Photoshop and Notepad++ as standard applications for opening data files is suddenly no longer possible in Windows 10. While the same procedure does not cause any issue for applications like IrfanView, VLC or Google Chrome. Windows simply ignores the user’s preferences that he selects in the settings and uses the Notepad editor as the default application for text files. The same applies to the Open with command, which should be used to assign a default application. I noticed a similar behavior in Windows 7 SP1 years ago, when I ran into the scenario that a PDF application could not be registered as default. 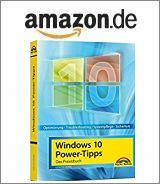 I had discussed the case within my German blog post Windows-Troubleshooting: PDF-Dateityp nicht registrierbar – 1 . At the end of the day, there it was a broken user profile that caused the issue. The error occurs in Windows 10 April 2018 Update (Version 1803). Hoffmann’s theory at the moment is that update KB4462919 from October 9, 2018 could have broken something. Woody Leonhard has taken up the case on his website in this article. His tests showed that the error only occurs in Windows 10 Version 1803. The older Windows 10 V1703 or the currently withdrawn Windows 10 Version 1809, on the other hand, do not show this behavior. Also some German blog readers confirmed this behavior in Windows 10 V1803. One reader reported this behavior also for older Windows 10 builds. German blog reader Christoph wrote, that he run into this issue mid of October 2018 with Windows 10 V1803 to register Sumatra PDF for pdf files. He then used the type command to associate the file type successfully. And it seems that only a few applications are affected, but I have no idea, what’s the reason.